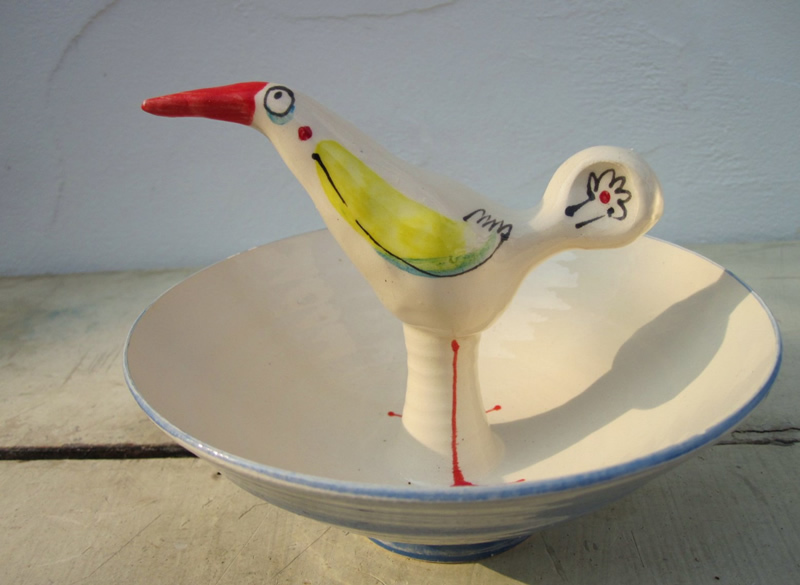 Katherine Morton is an illustrator who works in clay to make fun contemporary bowls. Made to look like 3D illustrations, they are fun and humorous and made to bring a smile.They are a perfect gift or talking piece, ideal for dips, jam, nuts, oils, salt, trinkets and all things delicious. 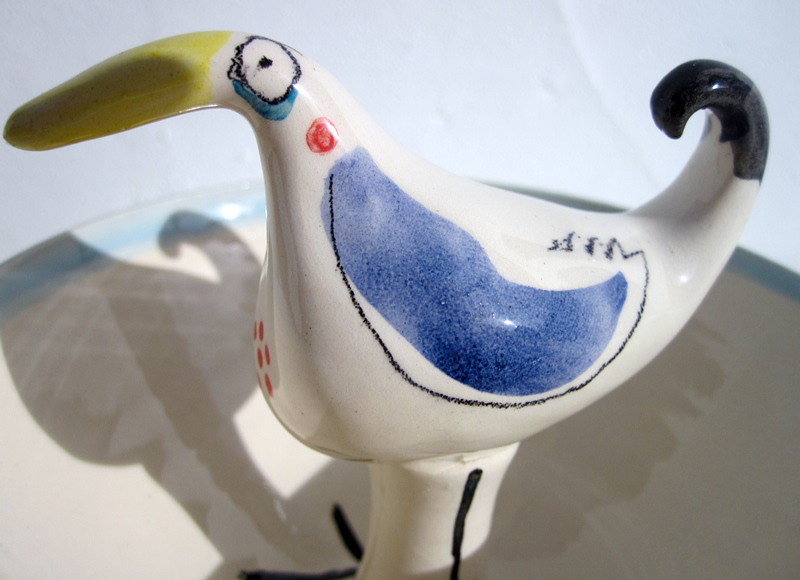 Katherine makes bowls for numerous galleries and exhibitions nationally and exhibits in the Brighton open houses at Christmas and the May Festival. 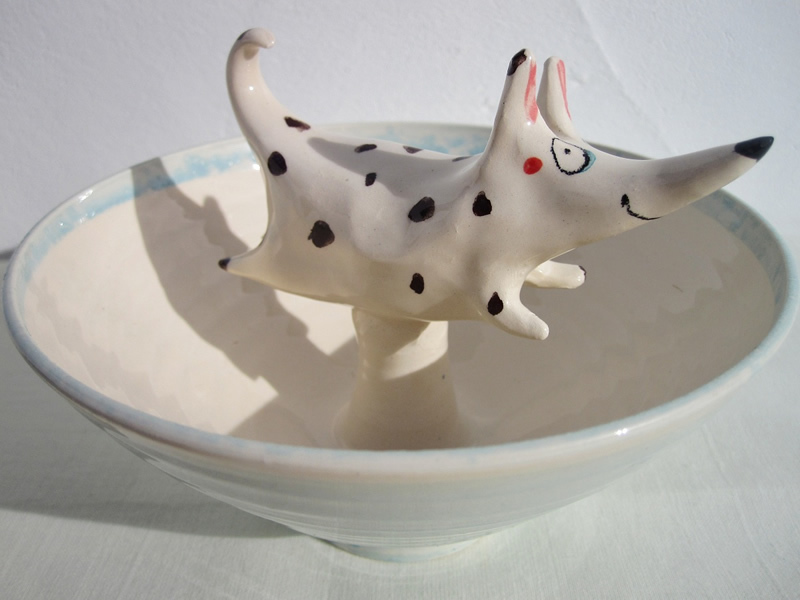 Click here to contact Katherine about a particular bowl, commission or personalised message for a birthday, wedding or special occassion. Prices range from £15 - £100.